Do you want to serve and promote UNT and the Division of Student Affairs? Then apply to be a Green Jacket. Not only will you gain valuable experience and make new friends, but you will also help make UNT events a success. Green Jackets history dates back to 1926. The Green Jackets were founded by Buelah Harriss, the first woman to be hired into the athletics department of what was then North Texas State Normal College. Ms. Harriss founded the Green Jackets as a service and spirit organization, and she served as the faculty advisor for four decades. During the 2016-2017 academic year, the Green Jackets earned a cumulative GPA of 3.4 and completed a total of 1,329 hours of service. Assists the Vice President of Student Affairs at University events. Serves as a guide for visiting notables. Assists with campus forums and events. Help make the campus more welcoming for students and guests. Applications are now open! Applications are due online by March 8th! Carry at least a 3.0 cumulative GPA. Complete at least 30 credit hours by the end of Spring 2018. Be able to serve for at least 2 long semesters, but ideally through graduation. Be a strong supporter of the spirit and values of UNT. Demonstrate Service, Leadership, and Scholarship while at UNT. 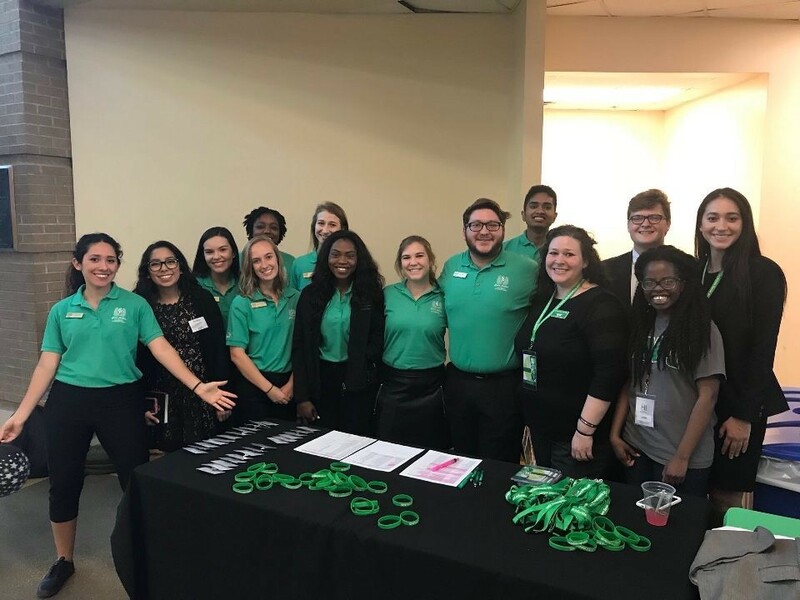 If your department would like the Green Jackets to assist with your campus event (ushering, passing out programs, greeting, etc.) please do not hesitate to contact Brittany Landau or click the Green Jacket Request link.